United’s MileagePlus is the world’s most rewarding loyalty program, with a wide array of travel, credit card and retail partners. MileagePlus members may earn elite travel benefits, including Premier Access airport services, and have access to one of the most extensive merchandise redemption programs in the industry. 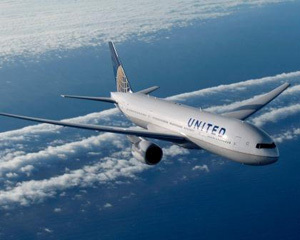 With United’s industry-leading global route network, no other airline offers more destinations for award travel. More than 50 United Clubs and lounges in 31 airports worldwide offer members complimentary bar service, light snacks and beverages; business amenities such as Wi-Fi, wireless printing and workstations; and personalized assistance with reservations, seat selection, upgrades and boarding passes. United Continental Holdings, Inc., is listed on the New York Stock Exchange under the ticker symbol UAL and began trading on Oct. 1, 2010. United delivers leading customer service, meaningful profitability and sustainable long-term value for our shareholders.